Eugene Henson is a Principal at LitiNomics. Mr. Henson has ten years of consulting experience on economic, financial, and business issues related to commercial litigation. His work has involved the calculation of damages resulting from intellectual property infringement, trade secrets, and complex business disputes. He has previously worked in litigation consulting on cases related to antitrust, patent infringement, breach of contract, and unjust enrichment. Mr. Henson is a Certified Public Accountant, licensed in California, and is a member of the AICPA. 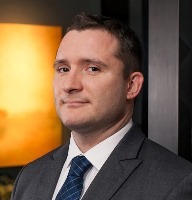 He is Certified in Financial Forensics and has previously served as an officer for the CalCPA Economic Damages section.